In a hurry? Do not want to trouble with lengthy health and background checks, numerous visits to the consulate or the country of your new residency? If you want to get this procedure over and done with as painlessly and quickly as possible, look no further! We have collected our top list of programs offering fast processing times, no country visits, and easy, hassle-free procedures. Of course, you need not worry if your favorite program is not among those below – our team will make any application process easy and convenient for you and your family members. Look through our top picks below, or speak to one of our consultants about the program best suited to your needs! Saint Lucia, a breathtaking Caribbean island, offers one of the fastest golden passport programs in the world. You will be able to travel to more than 100 countries visa-free, and your close family members can also be included in the application. 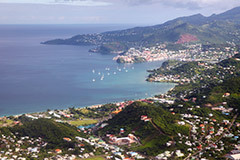 There is no general requirement to travel to Saint Lucia in person during the application process, and no residence requirement connected to Saint Lucian citizenship. You will not have to pay tax on your worldwide income. The island’s breathtaking natural beauty, one of the best standards of living in the Caribbean region and a fast and straightforward golden passport procedure requiring a relatively affordable investment make Dominica’s citizenship-by-investment program very popular. You do not have to travel to Dominica during the application procedure, and you do not have to live there after your citizenship is approved. Furthermore, as a nonresident, you will not have to pay any taxes in Dominica. The citizenship gives you and your loved ones visa-free access to the EU and over 100 other countries. 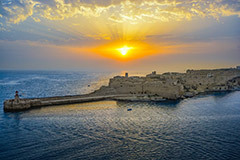 Malta is a popular holiday destination with excellent air links, but it is also an attractive place to live or have a second home. As the country is a member of the EU and the Schengen area, Maltese residents can travel freely within the Schengen zone and make use of the free trade opportunities within the EU. Acquiring Maltese residency through investment is straightforward and extremely fast. You and your family members gain the right to live on Malta indefinitely, but there is no physical residence requirement. You will also have to possibility for a tax-exemption on your worldwide income. Antigua and Barbuda, a Caribbean island of stunning natural beauty, offers one of the fastest golden visa programs with a variety of investment options. Close family members can also be included in the application. 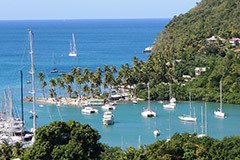 There is no general requirement to travel to Antigua in person during the application process, and no residence requirement connected to Antiguan citizenship. You will not have to pay tax on your worldwide income, and there is no capital gains tax, estate taxes or personal income tax, either. The Antiguan citizenship-by-investment program also accepts Iranian applicants. Grenada, this Caribbean paradise, offers a citizenship-by-investment program that stands out from those in the region: Grenada offers the only passport that makes you eligible for a non-immigrant visa to the USA. It is also the only Caribbean country with visa-free travel to China. Of course, the citizenship-by-investment program of Grenada still has the benefits of other such programs in the region like a fast and easy procedure, the possibility to include close family members in the application, and the lack of any visiting or residence requirements for the citizenship process, and tax-free worldwide income. 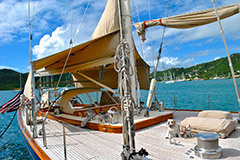 Best of all, Grenada has one of the lowest investment requirement of all Caribbean programs.